Reclaim your patio space with a patio cover. Find the ways to add a patio cover below. A seamless patio cover addition, this project simply takes the roof material you have and extends it to cover your patio. With additional space, you can convert this extra patio space into a garage, outdoor living room, an outdoor dining area or kitchen. With this addition, your patio will seem like a natural part of your home; as if it has always been there since your house was built. 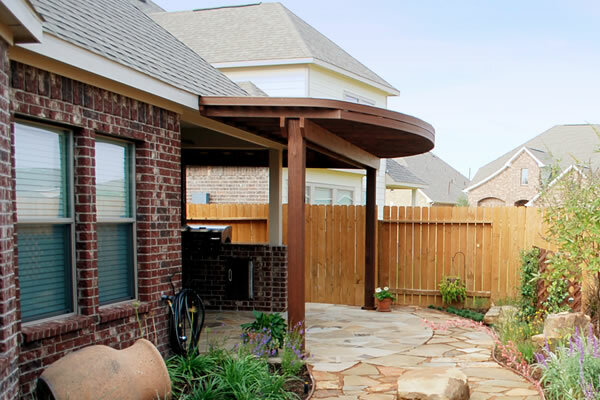 A standalone patio cover can cover an area separate from the main house. 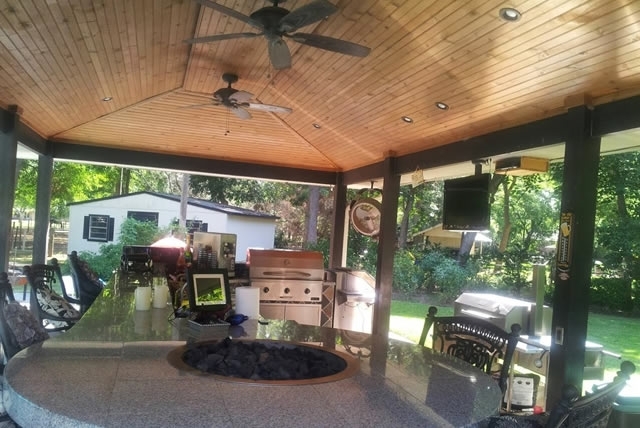 It can be in the form of a peaked roof to form a gazebo as a view deck area for your garden, an outback grill house complete with your outdoor kitchen appliances, a shed type for gardening tools or woodwork, or even a lounge area by the pool. Standalone patio cover gives your outdoor space more room to lounge in after an activity to enjoy the fruits of your labor or to simply relax. For some, patio covers seem stuffy and block too much sunlight making the outdoor area too dark for their liking. With partial patio covers, you can have the option to retract the cover when not in use in the form of awnings. Some materials for these can be fabric or clear glass. Some of these are water-resistant and even come with sensors, remote controls, and warranties guaranteeing a great investment for your cover. With a partial patio cover, you have the freedom to choose whether to bask in the sunshine or get some shade. These are just some of the options when it comes to adding a patio cover. Learn more about adding a patio cover by calling us today for a free, no-obligation consultation! As spring slowly gives way to summer, making the most of your outdoor living space is a must. From a simple lounge area to a party-ready yard space complete with kitchen, here are some outdoor arrangements you can make to have a memorable summer right in your yard! Whether it’s for a short chat or an outdoor lunch, this compact seating area does it with a simple style. There’s a foldable umbrella to give ample shade over your lunch or afternoon coffee or tea. There’s also a sunbathing chair by the corner for those who’d love a glorious tanned complexion during summer. The spring and summer seasons call for more outdoor living and for this home, they have heeded the call with an outdoor living room installed under their covered patio. With plump seating furniture, this family is more than ready to soak in the summer feel in their brand new outdoor living area. If the family above chose woven furniture, this home chose to go the ornate way when it comes to their outdoor furniture. Partnered with a light brick facades and light cream-colored tiles, this home has achieved a sleek and classy and outdoor living space ready for the summer season ahead! When the heat turns up, pool parties are the best way to rest and relax in the company of your friends. For this home, a conveniently close pool lounge area makes their quick summer parties an absolute fun event. A four-post patio cover with ceiling fans installed help make the lounge stay a comfortable one. There’s also an L-shaped countertop by the left side for snacks and refreshments. From fun and refreshing pool parties, some may opt for al fresco dinner parties. From the appetizing ambiance, tasteful floating cabinets done in dark wood to complement the mighty beams and a classic wooden dining set, this outdoor kitchen and dining area is ready to host many a memorable summer dinner parties! Are using pavers for your patio the right way? Read on and find out how pavers used the right way can highlight your best outdoor features! Ensure flat foundation before choosing pavers. If you have a rolling terrain, you might want to ask your contractor to flatten the terrain first or consider exploring other patio design instead of pavers. If there are some bumps, dips or cracks, it’s better to fill it up first and smoothen the surface. This ensures you’ll have a smooth and even paved patio surface. Use a variety of pavers. Define foot traffic, borders, and spaces by simply using different kinds of pavers for each section. With its variety, you won’t run out of choices for each section of your patio. 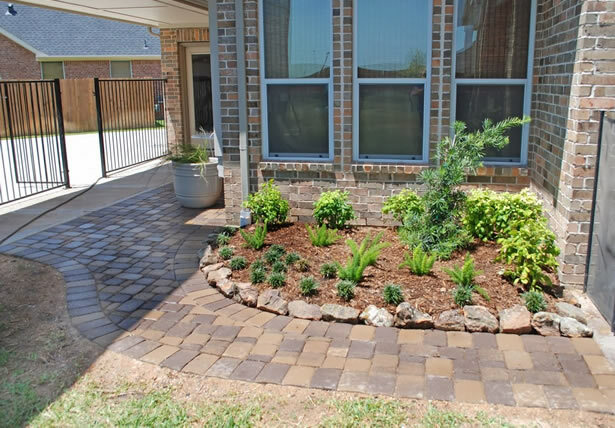 Whether it’s color coordinated in different hues or complimentary in the way they contrast each other, pavers will surely give a cohesive and smooth look for your patio once it’s been all done. Get a uniform look with hints of color. Mix and match your pavers to achieve a unique patio design. When it comes to your patio, the paved floor does not only exist for a smoother surface but can also be your prime focal point. Consider the overall soil type. Before putting more weight, determine your soil type and its contents. See what lies underneath if there are pebbles, clay, sand or loam. Consult with your contractor first while planning so you’re sure the patio materials you’ll use will hold for a long time and the area won’t be prone to erosion or withstand flooding. Just because your regular issue pavers has sharp corners does not mean you cannot trim it to the shape you want. Whether it’s diagonal or curved, changing your patio edges will result in a transformed look that will add more jazz to your patio! With all the trends sprouting up everywhere, we’ve rounded up the 5 major outdoor trends this 2018 that’ll be widespread all over America. From Little Boy Blue reminding us of light blue skies to Pink Lavender which is a violet rose shade to earth-tone Emperador, the color palette for this year is suffused with genderless and season-less hues. From gardening to curating, this Japanese art form practices profound appreciation for the natural state of things. In keeping with this practice, embrace the natural form and landscape of your surroundings. Applying this Buddhist philosophy to your curating, appreciate and find the beauty in imperfection. Moss enthusiasts, this is the time to let your craggy backyard be overrun with verdant moss and let nature do its own designing. Aside from letting nature do the designing, patio furniture which has been handmade and woven will be preferred this 2018. While wood will be frowned upon as a patio surface material, wood will reclaim its spot in the patio furniture category. Wooden chairs, and natural weaves will make its way to patios in American homes. 2018 is the year to live inside out. Bring that rattan weave sofa out in the patio and treat it as your own personal living room and sunroom. Start the day basking in the warm sunlight, among your plush cushions sporting lively designs. Another perk of having an outdoor living room is freeing up space indoors. Maximizing your outdoor space and achieving its full potential will be a goal definitely realized this year. For those who have been itching to put more color, design, and texture on their indoor living room, feel free to go all out on your outdoor living room. Since 2018 will be all about textured colored fabric, you have the license to creatively experiment with all the fun fabric patterns you see.